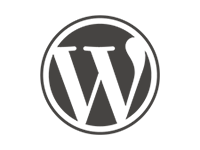 WordPress Content Management Websites - Blackrock Networks, Inc. Up-to-date and varying content is a key to your website's success. By constantly updating and replacing the content of your website, you are giving a reason for consumers to come back to your website. Content Management System such as WordPress are an easy-to-use system to help you edit your website with limited coding knowledge. Now you can view your site in our new staging environment to make sure it looks exactly like you intended before pushing your website live. Have you already had your site designed by another company, it's alright. We can take most any website and integrate it into a CMS. Call us at 617.821.3446 or email sales@blackrocknetworks.com to find out more.